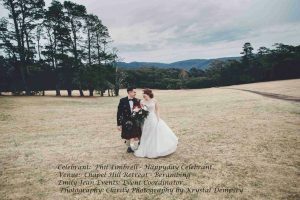 Phil Timbrell JP, your marriage celebrant Penrith and Blue Mountains. 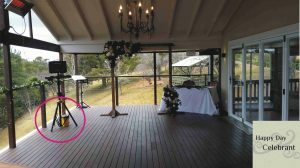 Adding enough humour to the front end of your ceremony to relax you for the serious bits. If you are seeking a fun yet dignified celebrant for your upcoming wedding ceremony, Penrith, Blue Mountains or anywhere around Sydney, call me for an informal chat and maybe we can meet for a coffee. If we click, which I am sure we will, then be assured you will be very happy with the level of service I provide - above and beyond your expectations. Relax as well knowing the first meeting is without obligation. Give me a call on 0418654525. It is your wedding so let's make it exactly the way you want it. Penrith marriage celebrant Phil Timbrell (0418654525) at beach wedding Dominican Republic. Let me take the worry out of the ceremony by having an informal chat, writing your ceremony and then rewriting it until you are completely happy with it. This ensures your ceremony will run exactly the way you want it. After all it is your day. Take the hassle out of getting an official certificate of Marriage from the Office of Births Deaths and Marriages. For weddings conducted within New South Wales, I will hand deliver the certificate to you soon after the wedding. A high resolution photo by Margan Photography can be found on my blog page. 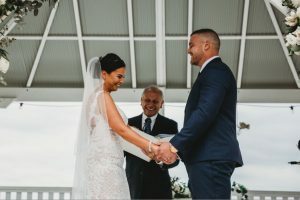 required, (including portable mains power supply if the ceremony is in a remote location), signing table with cloth, official marriage certificate delivered to your door after the wedding and any other variations you may want to add. All to make your day a stress free day. Only one wedding on any day - that is the Happy Day Celebrant pledge. This ensures you get the full attention you deserve on your big day. As a member of Nepean Celebrants, a group of 3 local male celebrants who can fill in for each other in the event of a major catastrophe, the stress and risk for you is dramatically reduced. Forget your celebrant worries. We are all members of the AFCC (Australian Federation of Civil Celebrants). Whether it's a simple outdoor backyard wedding, or the full deal, you will receive a professional and yet friendly and fun filled ceremony. Let me make your big day a happy day!